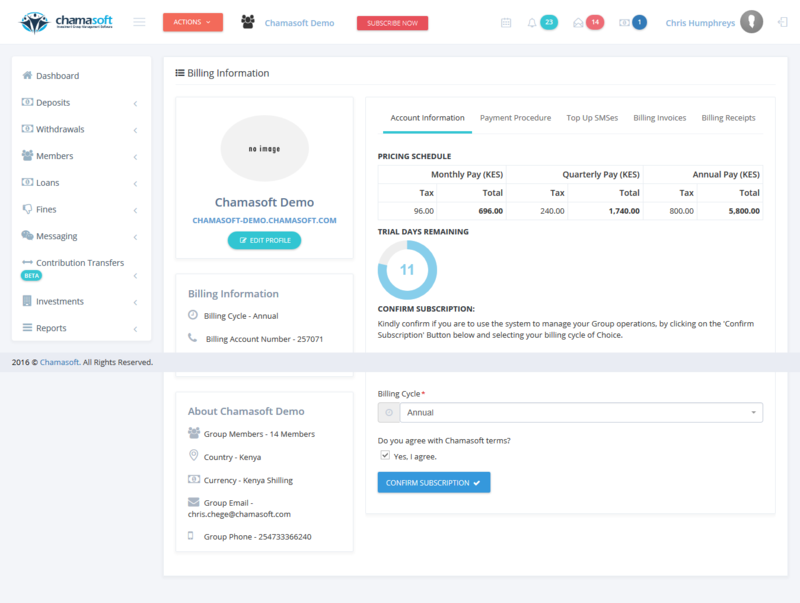 /Frequently Asked Questions /How do I Pay for Chamasoft? After getting started on Chamasoft, one receives a 14 days trial. Upon the expiry, one is expected to pay a subscription amount in order to continue using Chamasoft account. 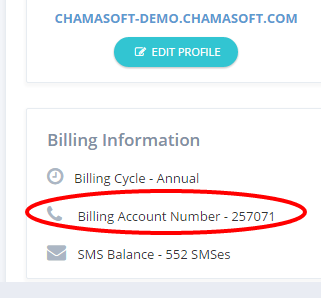 The following are the methods of making Chamasoft subscription payment. A receipt will be given upon the payment. One make a cheque payment to Chamasoft. The cheque should be delivered to our offices. Step 6: Enter the amount, According to your preferred subscription (Monthly, Quarterly or Annually). Step 8: Confirmation message from M-pesa and you are set! This occurs in the case where the user wants to to make a money transfer from their bank account directly to Chamasoft account. It is suitable for people with no cheque books. To perform an RTGS payment, please visit your respective bank. NB: Chamasoft subscription payment is different from group contribution payment which occurs differently according to specific groups. Can I add next of kin details on Chamasoft? Will I get instructions to help me get started? hello, I still cannot update the site after making the payment. Please confirm if you can now access your account.